The Nursing Capstone project is a project designed to assess a student’s readiness to become a nursing professional. It must demonstrate many things that an excellent candidate for a nursing position must have, and is not limited to simple knowledge of the field. While this deep understanding is required to formulate the overall meaning of the essay, a good nursing capstone paper will also demonstrate that the student has developed significant leadership and communication abilities which will allow them to excel in the field. Not being concise enough when presenting ideas. Often times, the simplest way is the best way to put forth an argument. Logical organization of topics will assist in making it easier to communicate ideas when they logically follow one another. Excess wordiness makes it difficult to understand the paper. Formulating the correct topic. The capstone paper is neither an extended book nor a short essay. The difficulty lies in picking a topic that can be easily written about in a few pages, but not so long and complicated that it is unable to be explained well. However, a topic that is too simple or already well-understood in the field will fail to demonstrate a student’s mastery of the field. Writing professionally so that members of the field can understand the argument. While the nursing capstone will be read and graded by experts in the field, the student also is the one controlling the sources and logical progression of the paper. The difficulty lies in trying to communicate ideas without being too technical, but not oversimplifying concepts. Should you find yourself needing help with topic selection or any other part of the nursing project, don’t hesitate to give us a call and take advantage of our medical writing service! 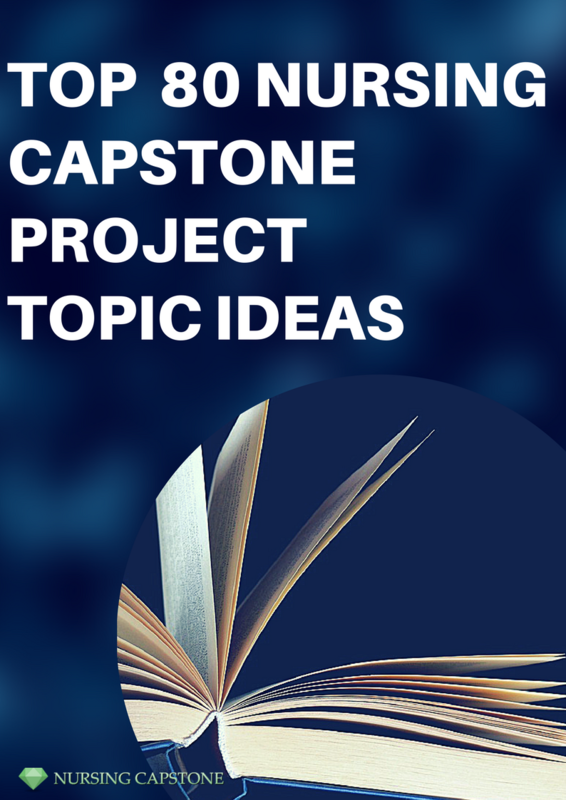 A nursing capstone project is a big task that will involve a great deal of time and plenty of hard work. Some projects take months or even a year or more to complete. The project is a way to gauge a student’s knowledge and ability and see how well they are able to apply what they have learned in real life situations. Topics for nursing research paper projects are chosen by students in their general field of study. Projects often involve implementing a change to an actual existing procedure, policy or some process in their topic area that they believe needs improving and determining if the process/ procedure change they make is truly an improvement. Review completed capstone projects from the past. They may give you an idea or you can even build on previous work. Look for processes you think could be improved on during clinical duties. The topics for capstone projects are practically limitless. Keep in mind that it doesn’t have to be earth shattering. Anything that improves the quality of patient care and results in a better outcome/experience could qualify. Often, just seeing some sample topics is like priming a pump, and topic ideas start to flow. Our nursing capstone paper services specialize in all types of nursing capstone and medical paper writing and excel at what we do. Our professional writers have masters and PhD degrees in medical and healthcare related fields. They also possess extensive experience in medical writing and consistently produce papers that meet any standard, no matter how strict. We back our writer’s ability by providing guarantees of complete satisfaction and on time delivery with all work we do. Contact us and gain the advantage of a nursing project paper written by an expert medical writer!